A decade ago tomorrow, my wife and I got married. And because I view the world through the lens of writers, I want to talk about the value of commitment in the life of writers, and the incredibly hard work that stands behind every successful author. Changing the water in the cooler just before I go to bed so that my wife has nice cold water when she wakes up in the middle of the night. Buying an extra bag of Milanos so she can be surprised when she finds it hidden away in the back of the cupboard. Finding solutions to problems with our house before I complain to her about it – saving her the drama of it all. None of these is amazingly romantic or groundbreaking actions. It’s the boring mundane everyday stuff. But I think that adds up. Little surprises. Little solutions. Little habits. Malcolm Gladwell wrote of the 10,000 hours necessary to master something. And as you can imagine, those 10,000 hours are likely the least glamorous hours one can imagine. Years of doing small things, often getting them wrong, but sticking with it anyway. Don’t wait for a book launch, don’t wait for a glamorous marketing plan or “the right time.” Just take small actions each week. Focus on the core stuff: writing and readers. You will NEVER feel you are ready, and NEVER feel you will have enough time. You will simply box yourself into a corner until a book launch is upon you, and you have no choice but to spam people about your book in order to feel that you are getting the word out. Thanks Dad. 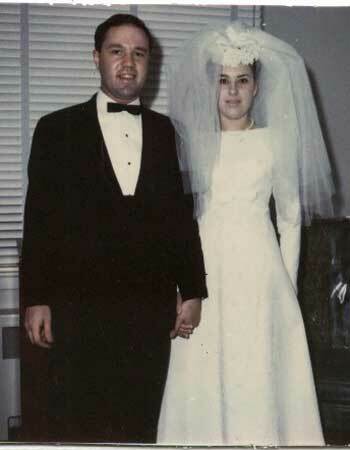 Oh, and happy 47th anniversary to you and mom at the end of this month. Your inner voice as a writer. Taking action on those things you feel compelled to create. Actually writing as a lifestyle, a daily habit. Learning about your readership – the folks you hope will be moved by your work. Say yes to both of these things. Often. Both of these actions require a lot of empathy, and listening more than talking. Like any good marriage. How to Create Word of Mouth Marketing For Your Books? Be Awesome. More is better, right? We should all desire a bigger audience, right? Again and again, we hear evidence that “word of mouth” is the way that people hear about books. So let’s think this through: how do you create more word of mouth marketing around your books? Is it you sending dozens of Tweets each month promoting your new book? Is it by friending hundreds of people on Goodreads for the sole purpose of hoping they magically check out your books? What about giving stuff away, that is totally how to create a loyal readership, right? How do you create word of mouth marketing? By delighting the readers you already have. Consider it this way: why try to get a bigger audience when you have not yet developed the capacity to best serve the readers & audience you have right now? That’s right, “engagement” and “retention” are skills that you can develop. What I see all too often is writers judging success and the relationship with readers as something that begins and ends with the sale of their book. That the $10 transaction is the culmination of your effort with readers. And that’s just silly. A company (such as a bank or phone provider) offers you an amazing deal to become a customer. You sign up, and once you become a customer, you find their customer service puts you on hold for 30 minutes when you call, they hit you with fees you weren’t aware of, and provide few options for more flexibility around your account. So you threaten to leave them, and suddenly, they offer to upgrade you. This is a company focused on growth alone, putting less value on satisfaction of their existing customers. They offer you incentives to join, don’t treat you especially well when you do sign up, and then only worry about retaining you as a customer when you threaten to leave. This is a huge problem, even at the business level. It is SO HARD to get a new customer, or in your case, a new reader. Sales teams often come up with exact dollar amounts it costs to get a new customer and set their marketing dollars based on this. For instance, they may determine that the lifetime value of a customer is $1,000. So in the example above, they have worked out that if I sign up for their cable service, based on their averages, I will give them $1,000 before I move or switch to another provider. So when they determine the marketing budget for new promotions and ads, they ensure that it costs them anything less than $1,000 to get me as a new customer. That’s why you see these companies spending millions of dollars on marketing – they have done the math. But retention is often overlooked, even though it can be cheaper than getting a new customer. In other words, the value of engaging your existing audience – of delighting them, of making them feel so special to the point where they can’t help but talk about you and your work – that is a much better value proposition than just spamming the world looking for new readers. This is the heart of word of mouth marketing: just be awesome. This is why I get skeptical of articles or programs promising to get you 1,000 more Facebook fans, 50 more Goodreads reviews, or 200 more Twitter followers. The number sounds big, so we assume that is good. But who are these people? And more importantly: when you take the easy road to a vague and distant “large” audience, you have never developed an understanding of how to serve them, delight them, and make them feel good about talking about your work. Are you a writer who is afraid of becoming a “marketer” who annoys people? Then instead of spamming people, focus on treating your readers as the most special people in the world. Even if you think you only have a small audience of 10 or 20 readers. Find ways to delight them. I have been putting together an online conference focused on helping writers “Get Read” – to find and engage their ideal readers. In developing the program, I find myself focused very much on the ideas of retention and word of mouth marketing. That there is an important skill to be learned on how authors can create a delightful experience for readers, for librarians, for booksellers, for reviewers, for publishers, for agents, for everyone in the publishing process. And that this is wildly more meaningful than pretending that some arbitrary number of twitter followers is even remotely useful. At the event, you will hear from people deep in the trenches of publishing about not only what sells a book, but what delights a reader. To hear more about the event, and join us, click here. Author Dan BlankPosted on October 4, 2013 October 4, 2013 Categories Author platform7 Comments on How to Create Word of Mouth Marketing For Your Books? Be Awesome. Ugh, I get queazy when I hear things like that. In the world of writing and publishing, too often, people are selling dreams. They over-promise; they present a tactic that worked once for someone, and pretend it is an easy replicatable system; they play on our fears and our dreams. For many, the process of “getting published” is about validation, and it doesn’t take a marketing genius to manipulate such a deep-seated human need. It is difficult to create. It is difficult to publish & share. It is difficult to find an audience. It is difficult to align all of this to revenue and income. It is easier to create now than it ever has been before. It is easier to publish & share than it ever has been before. It is easier to find and engage an audience than it ever has been before. It is easier to earn revenue and income from your creative work than it ever has been before. I am the luckiest person in the world to know so many AMAZING folks within the writing and publishing worlds. People who – day to day – devote their time to helping great work spread. They are in publishing houses, in libraries, in bookstores, in literary agencies, in book clubs, in organizations, on social media, at their desks writing, and always: reading, reading, reading. The total belief in the magic of words, of story, of how a book can reshape someone’s life. So when I decided to hold a conference for writers, I immediately viewed it as a party whereby I would invite all of these amazing folks I know in the publishing and writing world as advisors and speakers. These are the realists, the dreamers, the pragmatists, the fans, the ranting raving speak-their-mind-ers, the people who do it because they love it, because they can’t NOT do it. On November 13th and 14th, I am holding that party, and you are invited. It is called Get Read: Marketing Strategies for Writers, an online conference where you attend from wherever you are. Everything takes place online, you hear and engage with the speakers via online video and text chat during those two days. Jason Allen Ashlock is the president of Movable Type Management, which manages more than 100 authors. You can find Jason at http://mtmgmt.net and on Twitter at @jasonashlock. Claire Cook is the bestselling author of 10 novels, including Must Love Dogs, which was adapted into a film starring Diane Lane and John Cusack. You can find Claire at ClaireCook.com and on Twitter at @clairecookwrite. Elizabeth S. Craig is the author of more than 10 novels, including the BBQ mysteries series, Southern Quilting mysteries series and the Myrtle Clover mysteries series. You can find Elizabeth at http://mysterywritingismurder.blogspot.com and on Twitter at @ElizabethSCraig. Stephanie Anderson is the Head of Reader Services at Darien Library, and Manager Emeritus of WORD bookstore. You can find Stephanie at http://bookavore.tumblr.com and on Twitter at @bookavore. Betsy Bird is a children’s book author, librarian, and review. You can find Betsy at http://blogs.slj.com/afuse8production/, http://www.betsybirdbooks.com and on Twitter at @fuseeight. Rachel is a writer and in charge of literary and nonprofit outreach at Tumblr. She is the co-creator of Six-Word Memoirs and co-editor of the New York Times Bestseller Not Quite What I Was Planning and three other books. She is also the former public programming director at Housing Works Bookstore Cafe. You can find Rachel at http://rachelfershleiser.com and on Twitter at @RachelFersh. Richard Nash is an independent publishing entrepreneur – VP of Community and Content of Small Demons, founder of Cursor, and Publisher of Red Lemonade. For most of the past decade, he ran the iconic indie Soft Skull Press. You can find Richard at http://rnash.com and on Twitter at @R_Nash. Jenn Northington is an indie bookseller & event manager for Word Bookstores, and the co-founder of the Bookrageous podcast. You can find Jenn at http://jennirl.com and on Twitter at @JennIRL. Kate Rados is the Director of Community Development at Crown Publishing. You can find Kate on Twitter at @KateRados. M.J. Rose is the international bestselling author of 13 novels, as well as the creator of authorbuzz.com. You can find M.J. at mjrose.com and on Twitter at @mjrose. Rebecca Schinsky is the senior editor at BookRiot.com and FoodRiot.com, as well as the founder of Bookrageous. You can find Rebecca at http://rebeccaschinsky.tumblr.com and on Twitter at @RebeccaSchinsky. Therese Walsh is an author and co-founder of WriterUnboxed.com. You can find Therese at ThereseWalsh.com and on Twitter at @ThereseWalsh. Chuck Wendig is a novelist, screenwriter, and game designer, as well as frequent blogger. You can find Chuck at TerribleMinds.com and on Twitter at @ChuckWendig. I will be announcing more speakers and information on the event soon. If you are interested in attending, I am offering an early-bird discount through this Friday. Find out more about the event, and register here. Are you a writer who wants to find your ideal readers, and engage them in compelling ways? What you need is an author platform – a strategic way to find the exact right audience for your writing and build a strong relationship with them. In this FREE one-hour webinar, I will share my best advice for building your author platform based on my experience of working with HUNDREDS of writers, including bestselling authors. I review the habits you NEED to develop in order to find success. I dig into the hard stuff, the nuts and bolts of what it means to be an author who is actively developing your audience. If you want some sounds-too-good-to-be-true snake oil, look elsewhere. If you are a writer serious about moving your career forward, this free webinar is for you. When you register, you can choose to submit yourself to be eligible for a 5-minute author platform makeover. If you win, I will do a quick review of your author platform on the webinar and provide my feedback on the webinar. This can provide useful first steps for where your biggest opportunities lie. After the webinar, I will have a Q&A session where you can ask questions about anything we covered, and even things we didn’t! You can submit questions anytime during the call, and I will answer them at the end. During the webinar, I will also be previewing my career-shifting online course for writers: Build Your Author Platform. This is where I work WITH you to develop your author platform and find your readers in six-weeks. No matter where you are in the world, you can take this course with a web connection. This is a free webinar, and there are limited spaces available. It takes place on Wednesday September 4th at 1pm ET. You only need your web browser to attend. If you can’t make the live session, I will send you a replay of it if you sign up now. This will be a video recording that you can watch at your convenience.